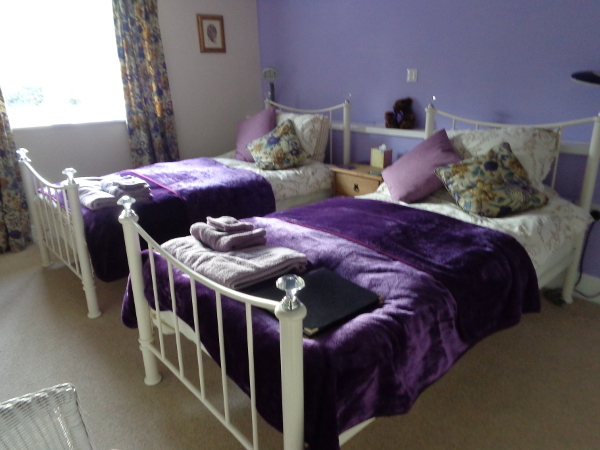 We have 2 available rooms, the Lilac twin Room, and the Blue Room with king sized bed. 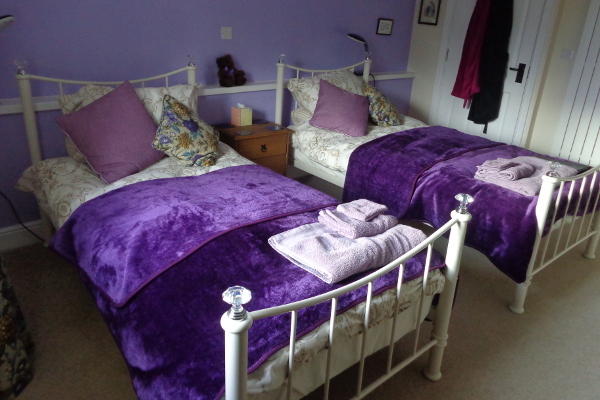 The Lilac Room is a first floor south facing room in our section of the house renovated in May 2015. 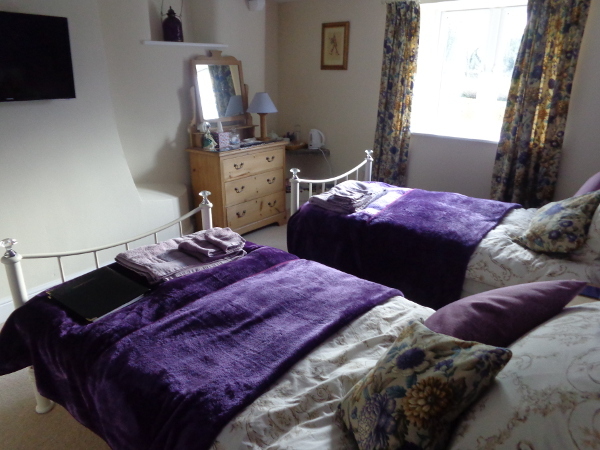 Everything is new apart from the antique furniture and pictures. Either side of the bed are modern reading lights with daylight bulbs and Wi-Fi is also available. 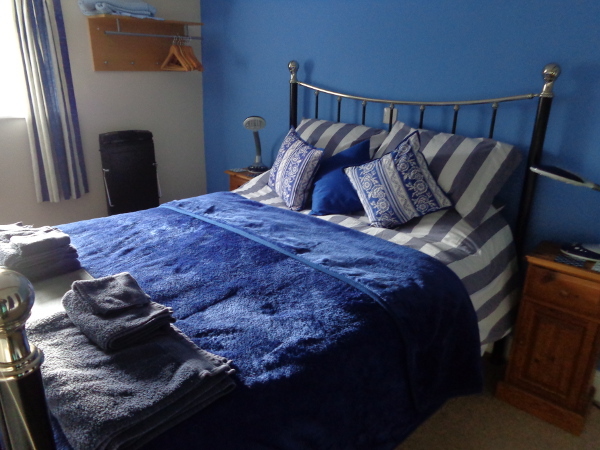 The pillows and duvet are fibre fill, but we also have feather pillows for those who prefer them. We have a travel cot for babies, which can be put up in the bedroom. 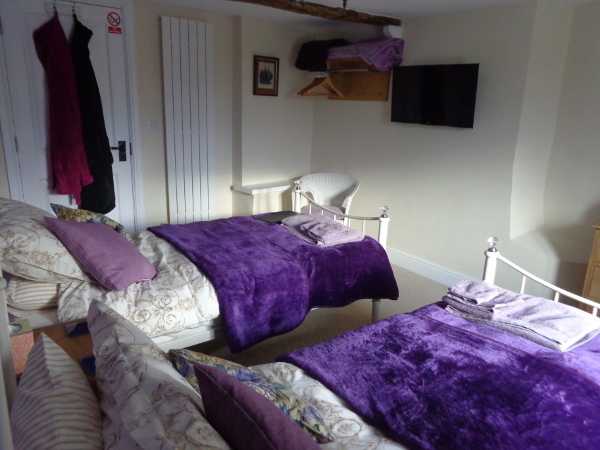 Immediately adjacent, and the only other room on that floor, is the private shower room. This has been furnished with a high spec Mira power shower. Complimentary organic toiletries (in large bottles) are provided for the use of our guests. 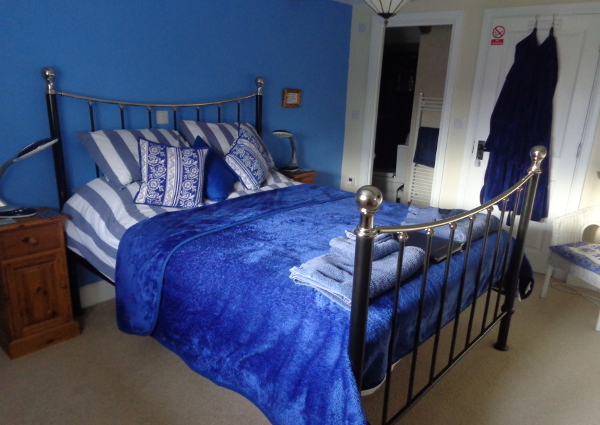 The Blue Room is a second floor south facing room in our section of the house renovated in May 2015. Everything is new apart from the antique furniture and pictures. 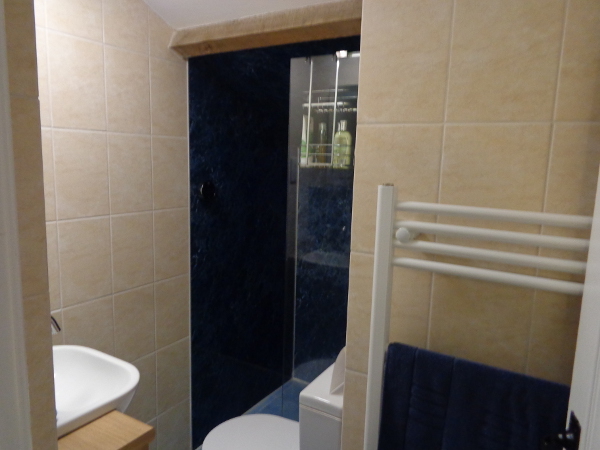 Ensuite is the private shower wet room. Please note due to the beams this shower has restricted head room and probably is not suitable for anyone over 6 foot tall. The shower is a high spec Mira power shower. Complimentary organic toiletries (in large bottles) are provided for the use of our guests. 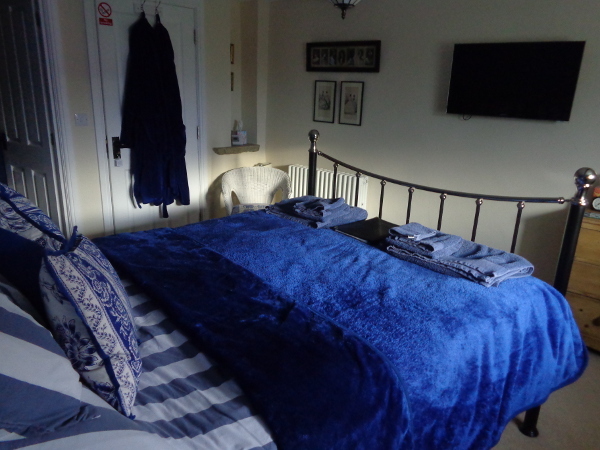 We hope you will be comfortable during your stay in Lodge House guest room with king size bed and colour TV, overlooking the beautiful Somerset countryside. Children - No charge is made for babies using the travel cot, but please bring your own cot bedding and baby food as this is not provided. For older children please enquire. Therapeutic Break - Complementary therapy treatments can be added to your break at an extra cost. Please note: A deposit of £25.00 is required on booking in advance. Payment by cash preferred. Alternative payment methods are by cheque or by credit card in person only. Deposit can be paid by cheque, BACS or by paypal. Deposits will be non refundable but can be used against a future booking.